Are you craving to include basil in your soup, salads, and other delicacies while you are expecting? 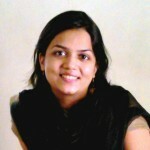 Do you want to ensure healthy bone and cartilage development for your unborn baby? If you said yes, consider including basil in your diet during pregnancy. Read our post here, to learn health benefits of basil, how safe it is to consume during pregnancy, and everything that you need to know when consuming Tulsi or Basil during pregnancy. Basil is popular herb with many medicinal properties. Green aromatic leaves of the herb add a punch of great flavor to soups, salads, and many other cuisines. 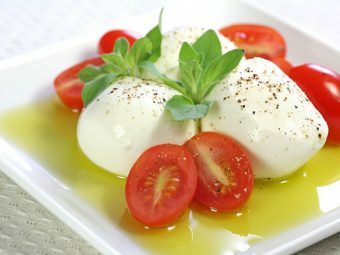 Also, basil is highly nutritious and contains many proteins, vitamins, fiber, minerals, and other essential nutrients. So, basil is popular as a pregnancy superfood (1). Basil provides a good amount of vitamin K, which plays a vital role in ensuring your good health and your unborn baby’s safety during pregnancy. Vitamin K helps clot blood and prevents the risk of blood loss (2). Basil is rich in vitamin A, which ensures appropriate growth and development of the fetus. Vitamin A from the herb promotes heart, eyes, lungs, and central nervous system development (3). The manganese content in basil helps form your unborn baby’s bones and cartilages. 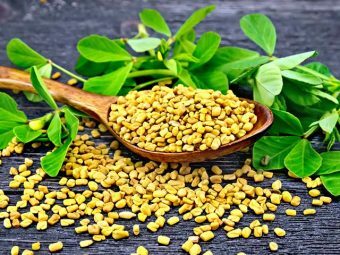 Also, manganese acts as a powerful antioxidant that minimizes oxidative stress and prevents the risk of cellular damage in pregnant moms (4). The folate content of basil helps generate additional blood that you need during pregnancy. 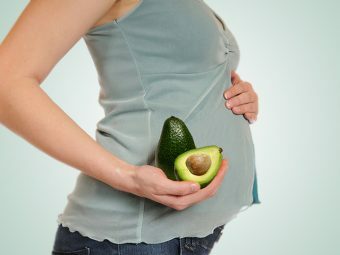 Also, folate prevents the risk of certain birth defects in the unborn baby (5). Basil is an excellent source of iron. Iron helps promote a good haemoglobin count and boosts your red blood cell count (RBCs) during pregnancy. Thus, the herb prevents the risk of anaemia in expectant mothers, provides your necessary energy, and wards off fatigue (6). Basil is a rich source of several vitamins, such as vitamin E, vitamin C, riboflavin, niacin, and many other vitamins. Also, the herb is a good source of minerals namely, zinc, phosphorus, magnesium, copper, manganese, and potassium. All vital vitamins and minerals in basil, increase your immunity against many infections, ensure your good health and optimal development of the unborn baby, and help you enjoy a healthy pregnancy (7). Even though there are several health benefits of eating basil while pregnant, an excess of consumption of the herb can result in side-effects. Here are two main side effects of the herb. 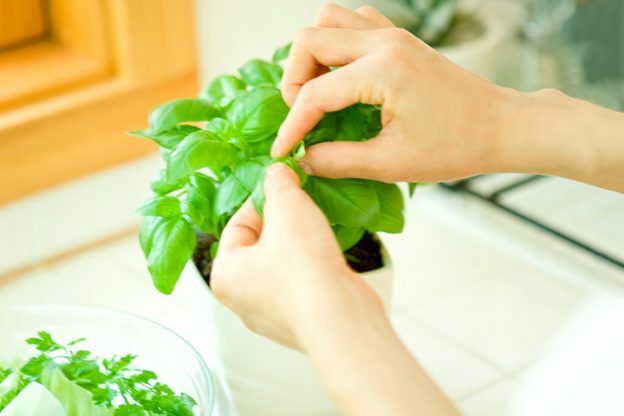 Eugenol, the oil present in the basil, can prove hazardous to health if you eat an excess of basil. The oil in the herb can lead to speeding heartbeats, throat and mouth burns, shallow breathing, seizures, dizziness, blood in the urine, and coma in extreme cases (8). Excess consumption of basil in pregnancy can result in serious hypoglycemic effects minimizing your blood sugar levels. As a result, you may suffer from dizziness, irritability, and shaking (9). 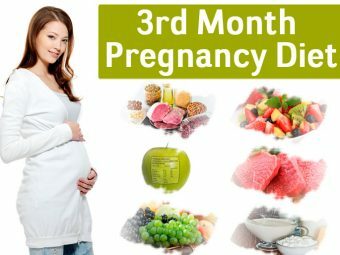 Basil is safe to consume during pregnancy, however, make sure you consume it in appropriate amounts and not in excess. Also, pregnant women should wash the herb before consuming it since unwashed basil may contain harmful parasites and bacteria that can lead to food-borne infections and ailments, such as listeriosis and toxoplasmosis. Consult your doctor once before you start eating basil while pregnant (10). Did you enjoy consuming basil during pregnancy? How did you benefit from it? Share your experiences with other moms-to-be. Leave a comment below. 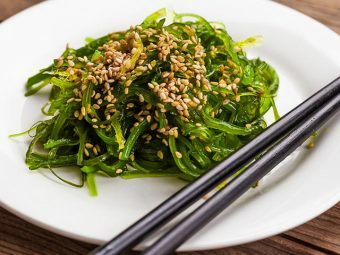 Is It Safe To Eat Seaweed During Pregnancy?